The subscriber email list has been called ‘Golden.’ And, it is. It’s the foundation of building relationships with your audience, building trust and authority, and selling what you’re offering. This list is so important that everyone selling something online uses an email service, like iContact or Aweber, to manage their subscribers. The email list is BIG business. Unfortunately, most people today are inundated with email. With many, it’s to the point that they dread having to open their email inbox. This makes building a list more difficult. It also makes keeping a list more difficult. So, how do you do it right? How do you garner that email address and keep your subscriber happy enough to stay with you? Ah, the ‘golden’ question . 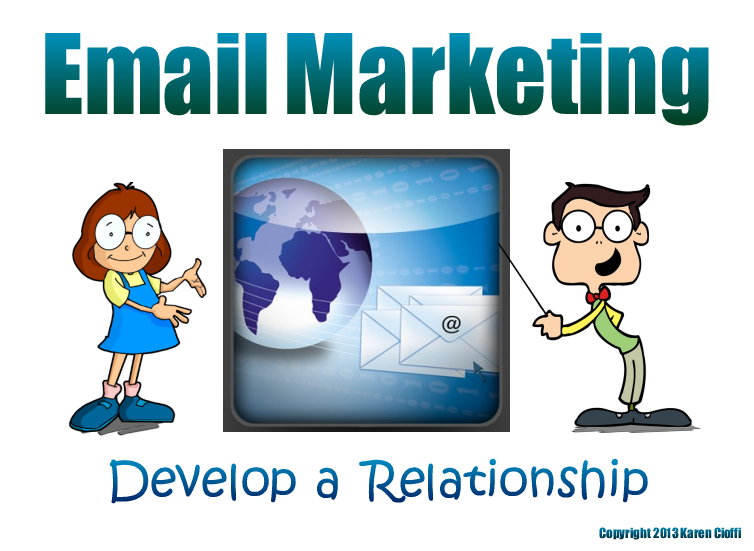 . .
Email marketing is an element of content marketing. Your goal is to get a reader, a member of your audience, to subscribe to your mailing list which is usually in the form of a newsletter (but, you don’t really want to mention a newsletter). To subscribe to a marketer’s email list is to give him permission to email you with relevant information and possibly promotional content. This is the bare-bottom basics of email marketing. It’s all about the email address. While every marketer needs that email address, there’s a real person attached to it. You’re not dealing with an address, you’re dealing with people. People who are investing time and possibly money with you in the hopes of gaining usable knowledge or to get a product you’re offering in order to move forward in their endeavors or maybe to make money. In other words, the people graciously giving you their email address want help. They want YOUR help. By accepting them into your list, as a respectable email marketer, you are obligated to fulfil the promises you made to them to get their addresses. These promises may be niche related information, tips, ideas, tools, resources, physical products, and so on. Make sure you deliver what you promise. Your list is precious and it’s made up of precious individuals. Appreciate them and respect them. But, before you get subscribers, you need to have something of value to give them in exchange for their email address. So, what will be a good offer? According to an email list mistakes article at Boost Blog Traffic by Paul Jarvis, the ‘freebie’ or ‘gift’ is now a dime-a-dozen. You need something of REAL value to spark interest on your audience’s part. Jarvis suggests you analyze your blog stats to determine which posts are the most popular. This will help you choose a topic or information that your audience will be responsive to. This is a great idea and one you should use. The opt-in gift itself can be anything you think your audience would appreciate. It might an ebook, a how-to video, a podcast, a screen-sharing how-to webinar, or some other useful content option. Whichever you choose, pack it full of value, with immediate useable information. In the past I’ve always offered ebooks, but I’ll soon be changing things up a bit. People love visuals, especially if it’s showing you step-by-step how to do something. Final note: Keep your subscriber happy by keep all your content on topic. Your website content, blog posts, your freebie, and your emails need to be relevant to your niche. If someone subscribes to your email list it’s because she wants topic related information. And, that’s what you should be giving. Get started building your subscriber email list today. Great advice. I am trying to get a handle on this email list and to think of a nice "bribe" to entice folks to subscribe to my blog. Thanks for sharing. Hi, JQ. That's the trick. What will actually entice a visitor to say YES to your gift! Good luck with it and thanks for stopping to comment!